Your credit report details your history of having, using and managing credit and, in so doing, influences your credit score. Together, your credit report and credit score can have a significant impact on your borrowing and purchasing power, which may be important if you are planning to make any large purchase (like a home) in the future. While things you do – like miss bill payments – can appear on your credit report and, consequently, impact your credit score, in some cases, credit report mistakes may end up negatively affecting your credit score. When this happens, identifying the credit report mistakes and getting them corrected will be critical to restoring your credit score, among other things. 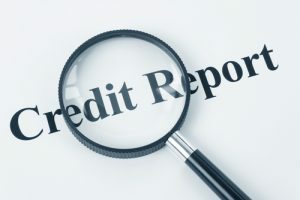 In this blog series, we will highlight some specific things that you can do to identify credit report mistakes and get them fixed in order to avoid negative repercussions like drops in credit scores. If, however, your credit score may be accurately reflecting that you are struggling with debt, then don’t hesitate to contact Denver Bankruptcy Lawyer Arthur Lindquist-Kleissler. He can help you get out of debt and achieve the financial fresh start you may need. Tip 1 – Regularly review your credit report from each credit reporting bureau. Credit report mistakes can negatively impact your credit score. Here are some tips for spotting and fixing credit report mistakes. You will never realize that credit report mistakes are hurting your credit score if you don’t ever look at your credit report. And, if you are like most Americans, you likely are not regularly checking your credit report. In fact, as the Consumer Financial Protection Bureau reports, only about 1 out of every 5 people in the U.S. reviews copies of their credit reports every year. So, make it a habit, every year (maybe before or after doing your taxes? ), to request your free copy of your credit report from each of the three credit reporting bureaus (TransUnion, Experian and Equifax). This may be the only way you end up finding out about your credit report mistakes. Tip 2 – Check your personal information. Your credit report possibly being sent to the wrong address. To fix credit report mistakes related to your personal info, contact the credit reporting bureau to notify it of your correct information. We will continue our discussion of what people can do to identify and fix their credit report mistakes in a few upcoming installments of this blog series – be sure to check them out!